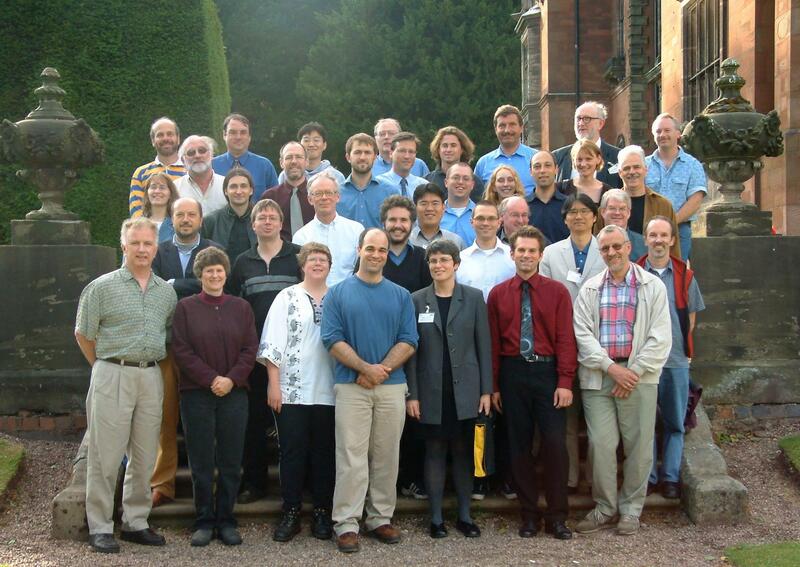 Meeting report for Astronomy & Geophysics availble as PDF here. The conference photograph is now available to download. (341 KB, JPEG format). You can attend the conference on a daily basis if you have not already registered. Attendance for one day including conference wallet, a copy of the proceedings, lunch, tea and coffee will cost £85.17 on Monday, Tuesday and Thursday, £55.34 on Wednesday and Friday. To attend an additional day will cost £18.50. If you would like to attend any of the social events, please contact the Local organising committee before the conference starts. Day delegates should contact the registration desk during the coffee break to register. Note that we cannot arrange accomodation for day delegates. Some of our delegates are staying at the Comfort Inn in Newcastle-under-Lyme. The full programme of talks is now available. The visit to the Gladstone Pottery Museum on Wednesday will be followed by the taking of the conference photograph and the conference dinner in Keele Hall. The venue for the talks has been moved due to building work. The talks will now take place in Lecture Theatre 3 on the first floor of the Dorothy Hodgkin Building. An OHP projector and a laptop running Powerpoint with projector will be available for speakers. Coffee and Tea will be served on the ground floor of the new wing of the Lennard Jones Laboratories. The registration desk will be open during the coffee and tea breaks. Posters will be on display on the ground floor of the new wing of the Lennard Jones Laboratories. Note for contributors The size of the poster boards is 1175mm x 1175mm. Lunch and dinner will be served in COMUS restaurant which is the Chancellor's Building. The venue for the Conference Dinner on Wednesday has been moved to the Old Library in Keele Hall (not the Salvin Room as previously noted). On arrival, please go to the University's main 24 Hour Reception (map) where you can collect your room key. Registered delegates are welcome to attend a reception on Sunday evening on the ground floor of the new wing of the Lennard Jones Laboratories from 6pm until 9pm when the registration desk will be open for you to collect your conference wallet and badge. If you are arriving during the week, please contact the registration desk during the morning coffee break. The organisers would like to thank the Royal Astronomical Society for their support. More information to appear soon, for further details contact the Local organising committee. Web page designed and maintained by Dr Pierre Maxted.